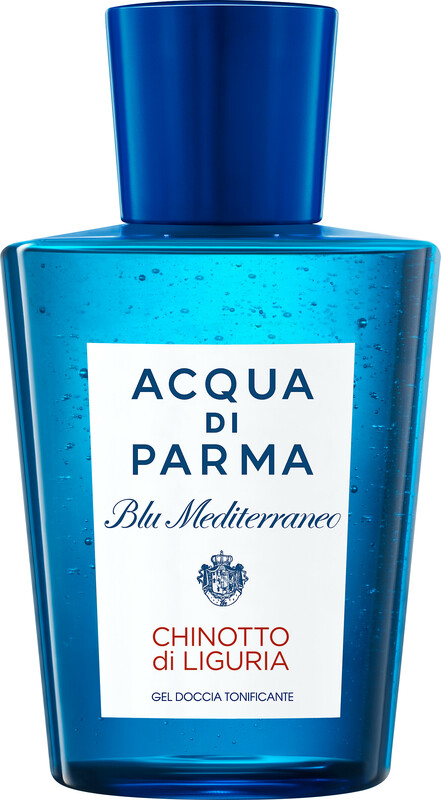 Escape to a place of serenity with the Acqua di Parma Blu Mediterraneo Chinotto di Liguria Refreshing Shower Gel, a body wash that hydrates skin and scents it with enticing fragrance. The ideal start or end to a hectic day, the Chinotto di Liguria Shower Gel harnesses the powers of fresh citrus facets to empower and rejuvenate your mood. Rich and luxurious, the sumptuous lather of this fragranced cleanser gently washes over your body whilst respecting your skin’s natural moisture barrier, its softening foam caressing your skin and senses with uplifting notes of mandarin, chinotto and rosemary. Massage into wet skin, then rinse. Follow with the Blu Mediterraneo Chinotto di Liguria Eau de Toilette to boost the scent longevity.